I am afraid my blog has been rather neglected in recent weeks. For good reason though…. 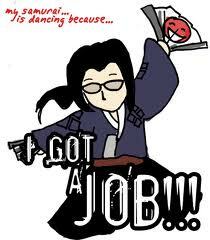 I got a job!!! Yes a real-life, big person job. I have just completed my first month in my new role as a Research Analyst in a firm here in Berlin and I really love it! I get to spend my entire day learing about a variety of different topics and connecting with experts in the assigned industry. And when I say variety, I mean variety! So far I have worked on projects in relation to prescription opioid drugs, mega-yacht building, oil and gas pipe handling equipment, global healthcare businesses, the Eurozone financial crisis, and finally US infrastructure. A diverse group right there! While of course I have enjoyed the political projects the most, I love to learn about new things and through this job I am going to have some knowledge about every industry there is! I am learning so many new skills and I finally can say that the future is looking bright! In other news, I am looking forward to coming home for two weeks at Christmas. I do love Berlin but you know the old saying; ‘There ain’t no place like home’. I can’t wait to see my family, my friends, and of course my dogs! The first thing I am going to do when I arrive in Cork is get straight to the first open chipper and get an enormous bag of chips and a cheese and onion pie! I miss real chips! I also miss Penneys very much. I am going on my first shopping spree tomorrow since I arrived here and it just won’t be the same without Penneys. Looking forward to catching some bargains in Warehouse too! That is the updates of my life at the moment. I promise not to neglect my blog so much in future and keep you all entertained with my musings on the world!